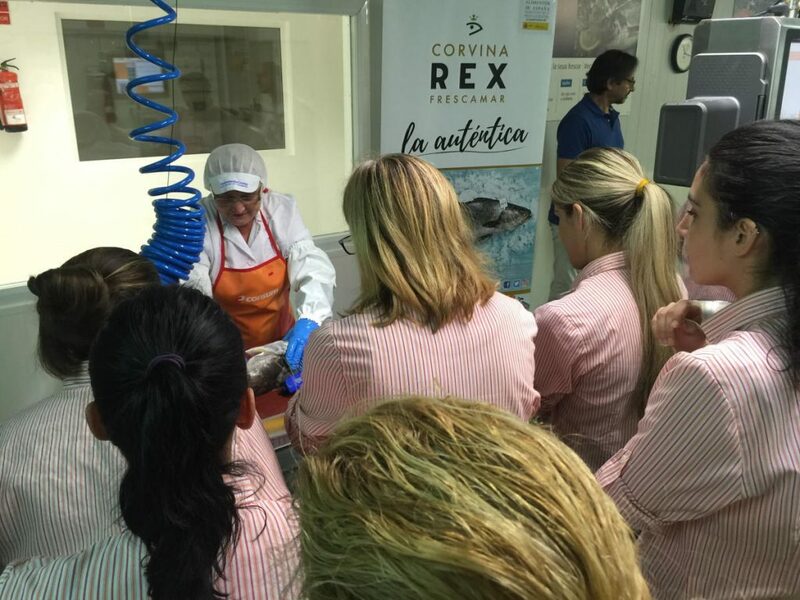 The origin, the morphological characteristics and the cutting of Corvina REX Frescamar are part of the contents that the Escuela de Frescos of Consum offers to its professionals. 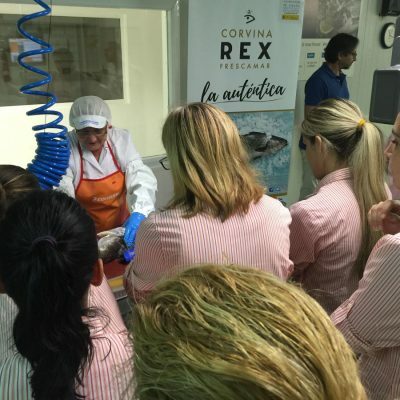 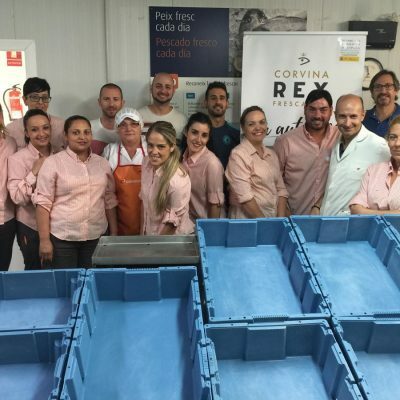 Thus, about 400 people have received training in this white fish whose benefits are enhanced by the REX brand, characterized by, among other attributes, its delicate flavor and its culinary versatility. 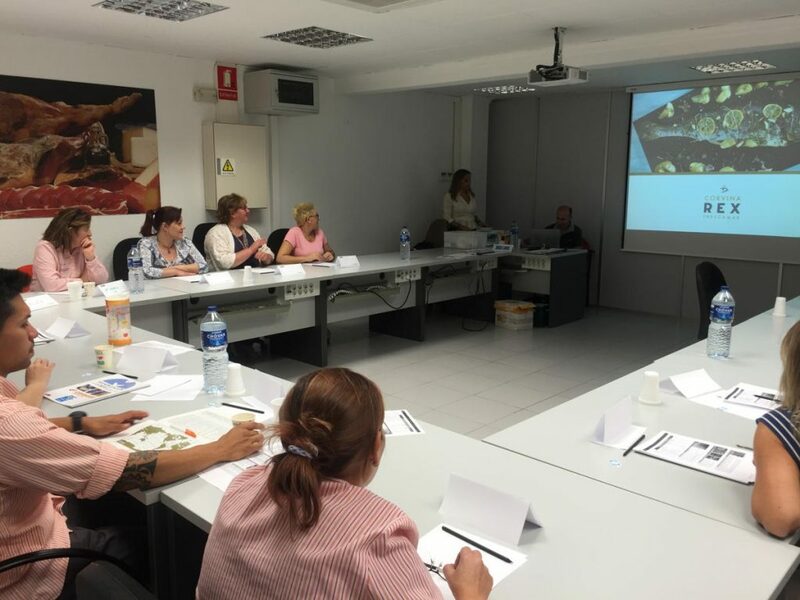 The school in which these master classes are taught is located in the logistics platform that Consum has in Quart de Poblet (Valencia). 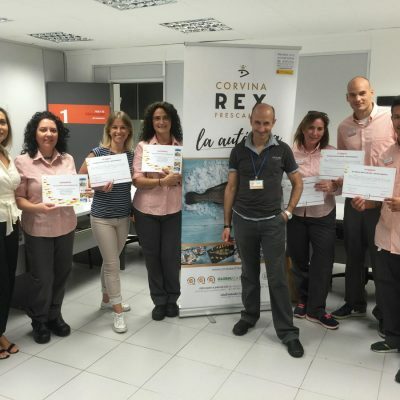 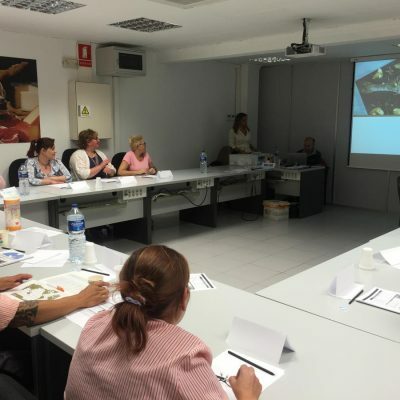 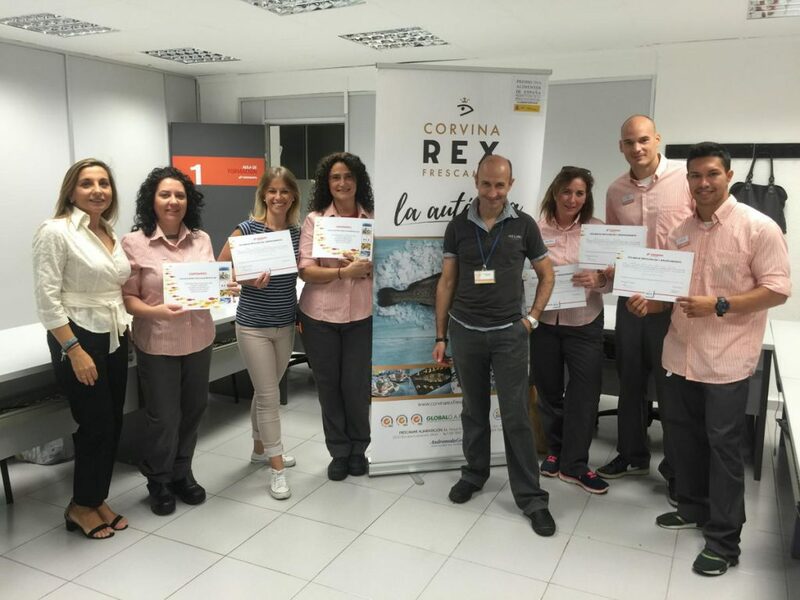 In it the professionals of the supermarket chain receive training of the most outstanding fresh products sold in their stores. 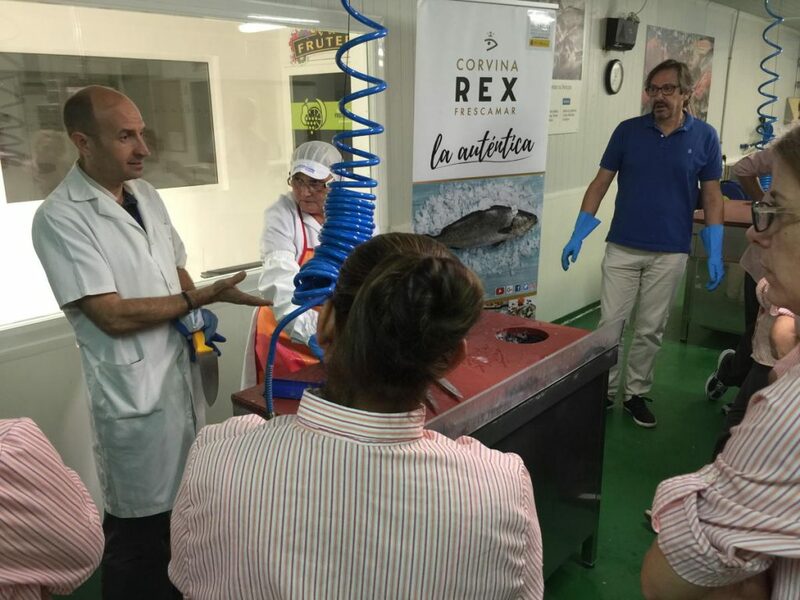 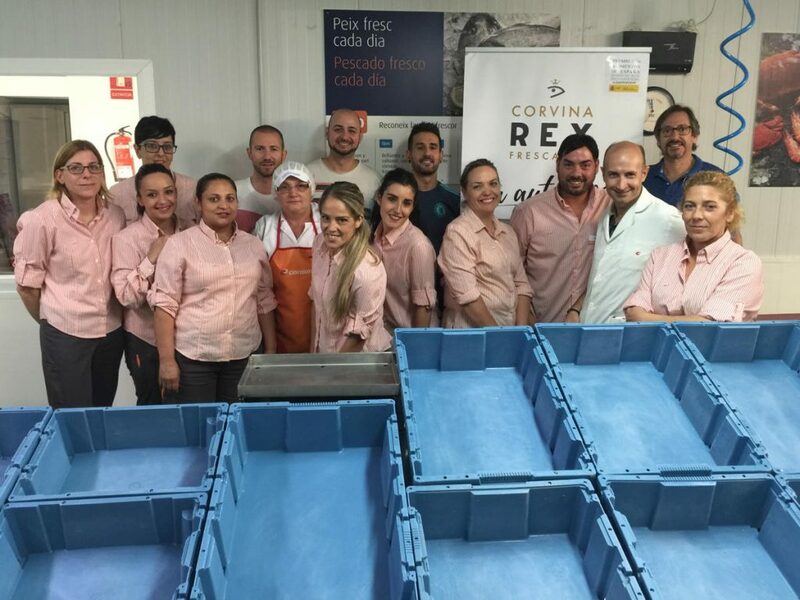 In the case of REX, different members of Frescamar Alimentación go monthly to give a workshop, of an approximate hour of duration, in which an introduction to aquaculture, information on the species (morphological and organoleptic characteristics, nutritional values, etc. .) and suggestions for cooking are offered. 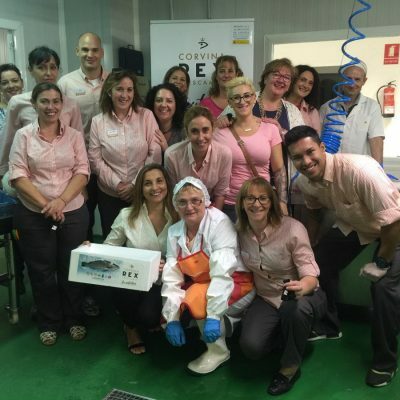 To do this, the attendees watch first a short video that summarizes the process, from the fingerlings production in the hatchery, the farming in the cages till the packaging in the plant prior to its release for commercialization. 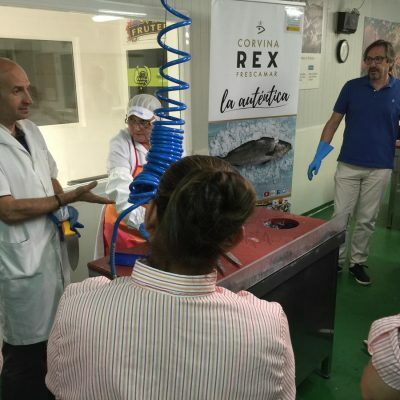 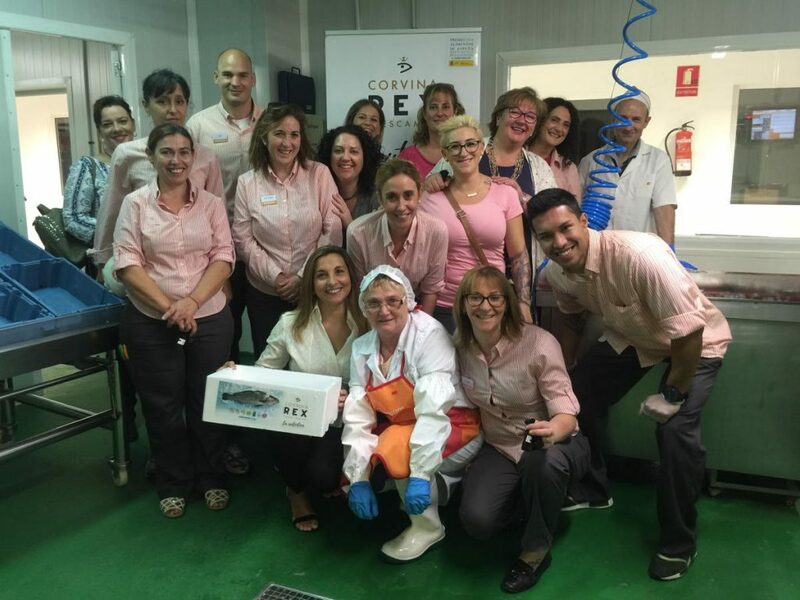 The manipulation, both the evisceration and the cut required for certain presentations (slices, fillets, loins …), is recreated in the classroom thanks to the collaboration of an expert cutter who comes from the plant that Frescamar owns in Burriana. 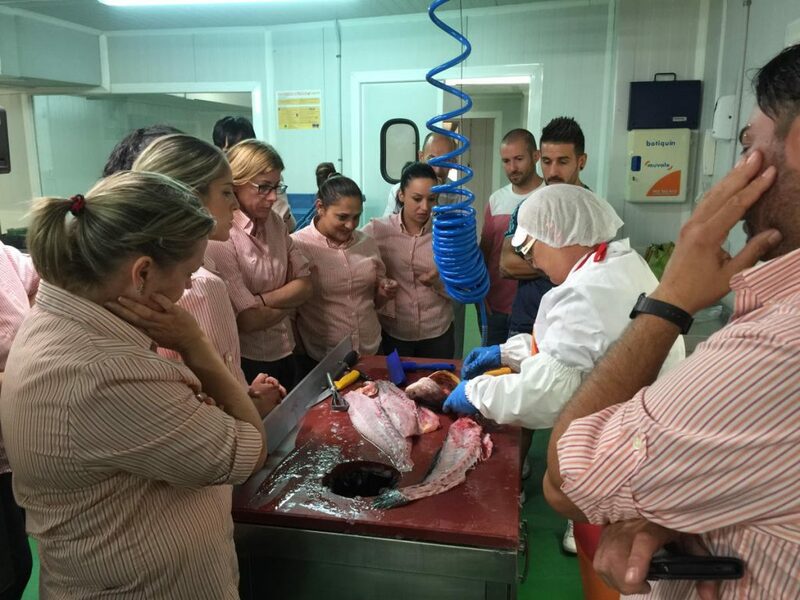 Thus, the professionals of CONSUM, grouped in workshops of fifteen people, attend when the theorical part of the workshop is finished to the practical demonstration of the most common cuts. 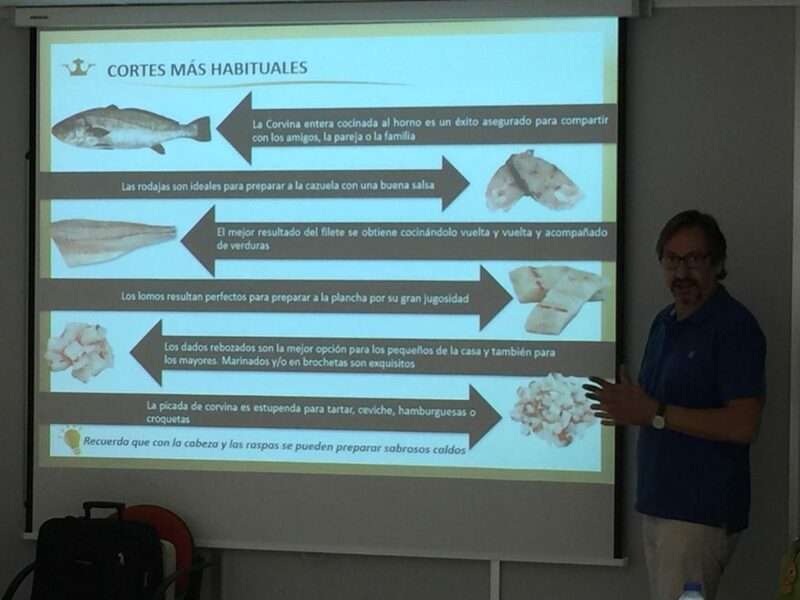 This section, which arouses special attention, culminates with the extraction of the pair of otoliths located in the auditory cavity of the corvina. 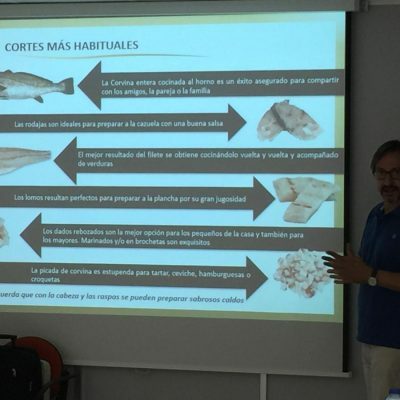 A few small bones that are attributed numerous benefits turning them into real amulets (read article on the legend of otolith). 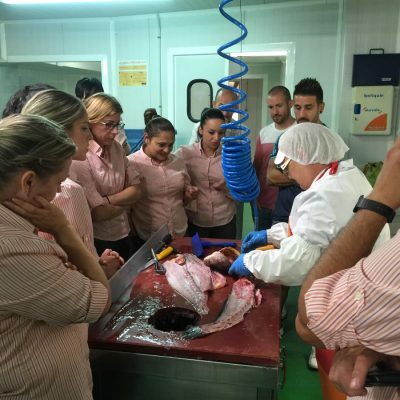 All attendees receive a diploma proving attendance and use of the workshop.